What flavour goes with lamb? “MINT,” you cry. Well, yes – but not just mint. Lamb has an incredibly strong, distinctive flavour caused by the structure of the fats in the meat, and therefore requires a strong distinctive partner, one with a balance of sweet and sour. Mint sauce, with its vinegar base, achieves this demonstrably well. So do pomegranate seeds. The tartness of those little rouge pearls really brings out the complexity of the lamb flavour. As for the crisp sage leaves – they offer a salty backbone to the dish which is useful for whatever vegetable accompaniments you may be using, as the pomegranate sauce can be rather sweet. This recipe is fantastic for impressing others as it looks about 10x harder than it is. Really it amounts to a quick roast and an effortless sauce. Still, I won’t tell the dinner guests if you don’t! 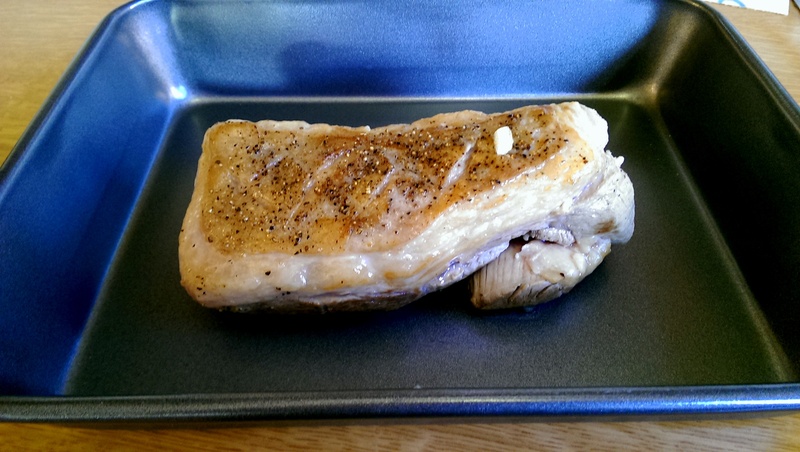 With regards to the pan you use to sear the meat and then make the sauce – it’s better if this is NOT a non-stick pan, so it really holds onto those meat flavours and incorporates them into the sauce. Alas, I didn’t have one to hand, so I just added the meat juices from the roasting dish later. Still, it’s nicer if you have those flavours from the start! 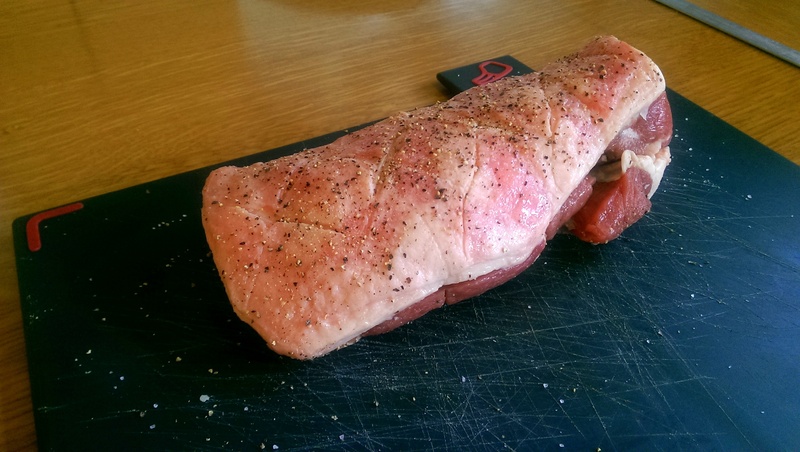 Lamb joint – I used rump. Score the fat of the lamb joint, seasoning it generously. Heat a few tablespoons of oil in a wide pan. When it’s hot, sear the lamb until each side has browned slightly – perhaps a minute or so, but longer for the fat so it begins to really crisp. Add the onion to the pan while you do this so that it absorbs some of the lamb’s flavour. 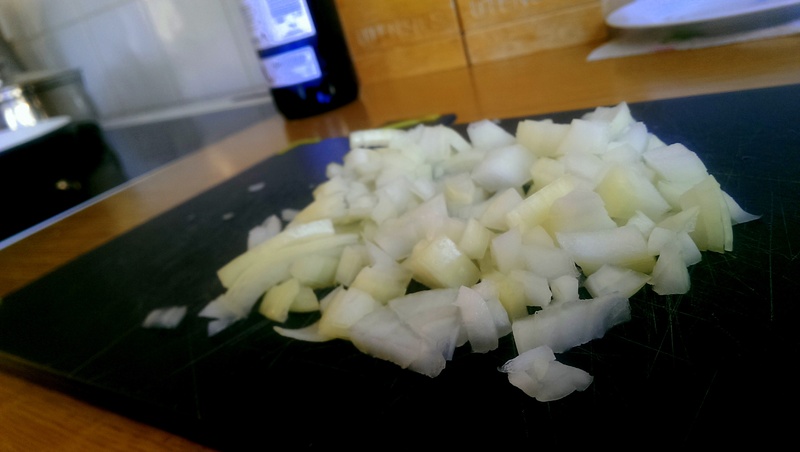 While the lamb cooks continue to fry the onions until they are browned. 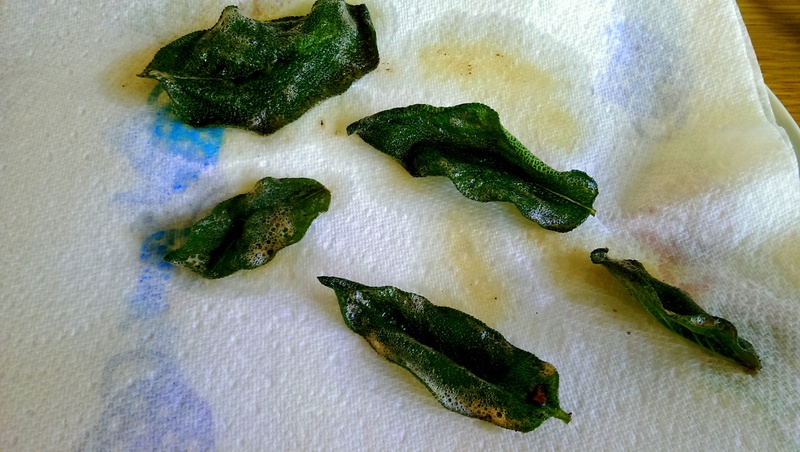 When they are, drain off most of the oil, leaving around a tablespoon. 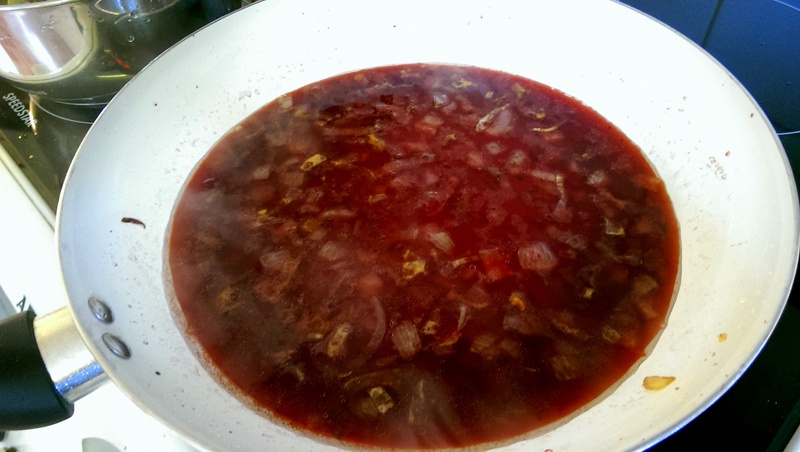 Add the pomegranate juice, red wine and stock to the pan at a ratio of roughly 2:1:1. 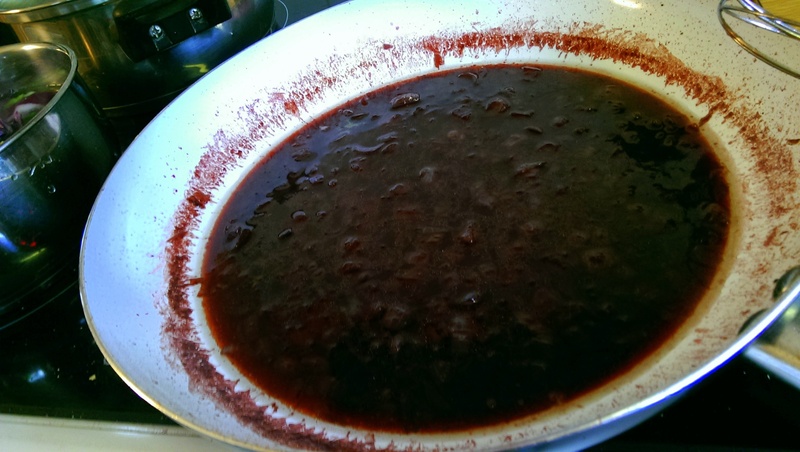 I used a glass of juice and half a glass each of wine and stock – this comfortably served 4 people. 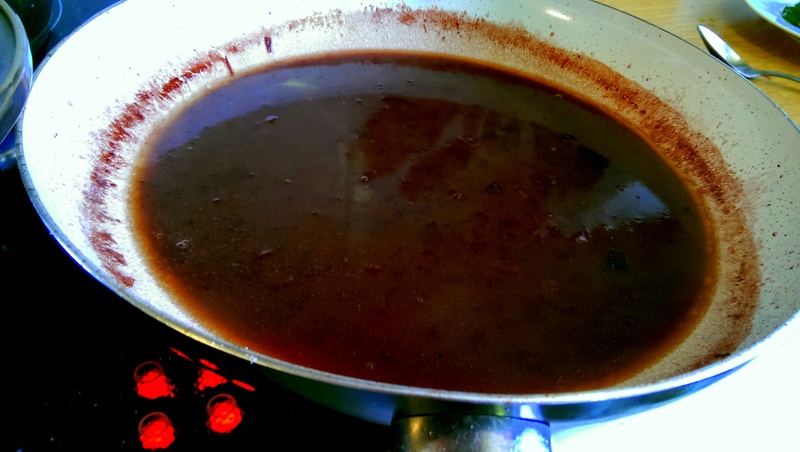 Continue to simmer at a medium temperature, stirring occasionally, until it has reduced by around half. At this point taste and adjust – it will need some sugar/honey to stop it being too sour, so add this a little at a time. If the pomegranate flavour is too weak, add some more and continue to reduce. The liquid won’t thicken massively, but the flavour profile will increase. 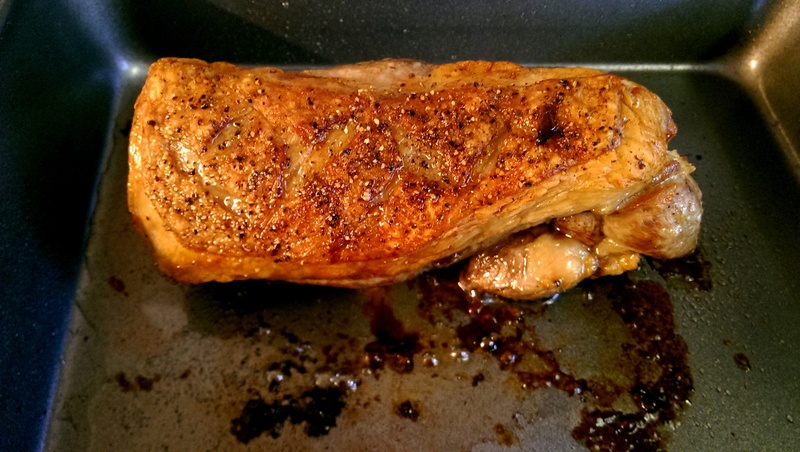 When the lamb is ready remove it from the oven and allow to rest for ten minutes or so – ALWAYS rest meat, as this will help it remain succulent. 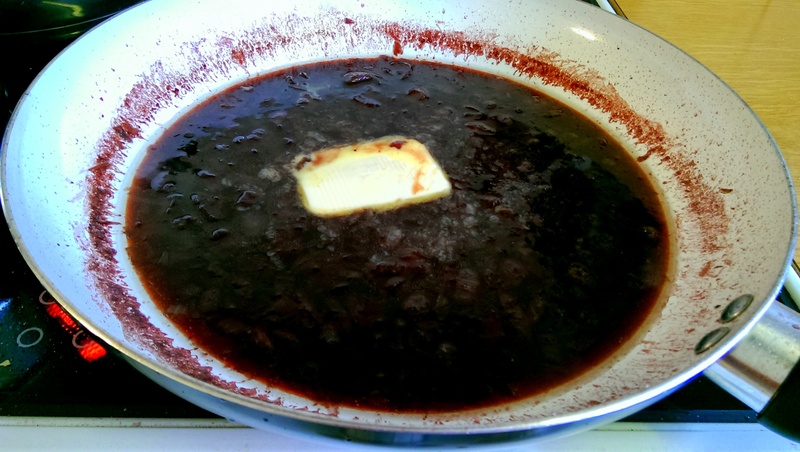 While the meat rests, stir some butter into the sauce a little at a time. I ended up adding another 2 pieces the size of the one pictured. Still, adding gradually and tasting makes sure you get it to your tastes. You want it to be ever so slightly velvety and beautifully rich. Transfer to a measuring jug and sit for a minute or two to cool. 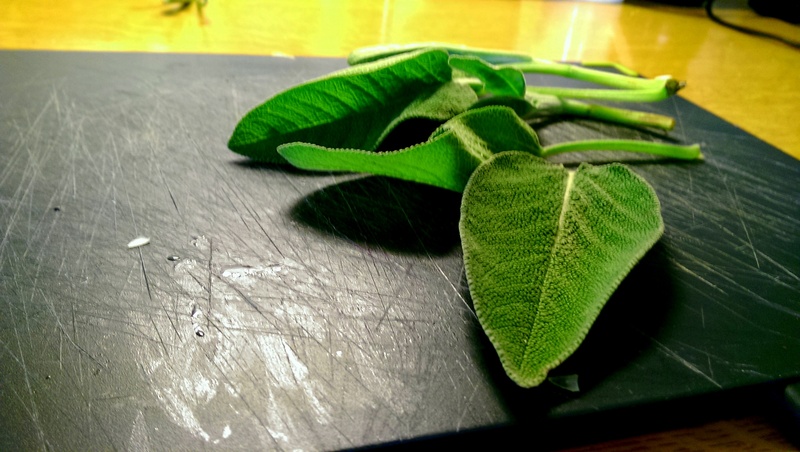 In this time you can do the sage leaves. Melt some butter in a small pan until it is very hot. 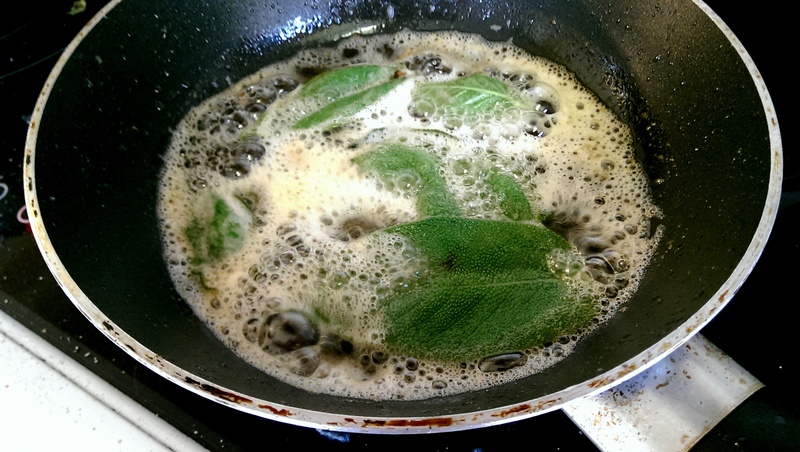 Add the sage leaves a few at a time and allow to cook for 20-30 seconds, then remove to a paper towel. Sprinkle with a little salt and leave for a minute or so to crisp. Carve the lamb and serve! With the power of the flavours in this dish I wouldn’t go for anything too sweet or dominating on the accompaniment side – some new potatoes and cabbage served me and my guests perfectly fine. 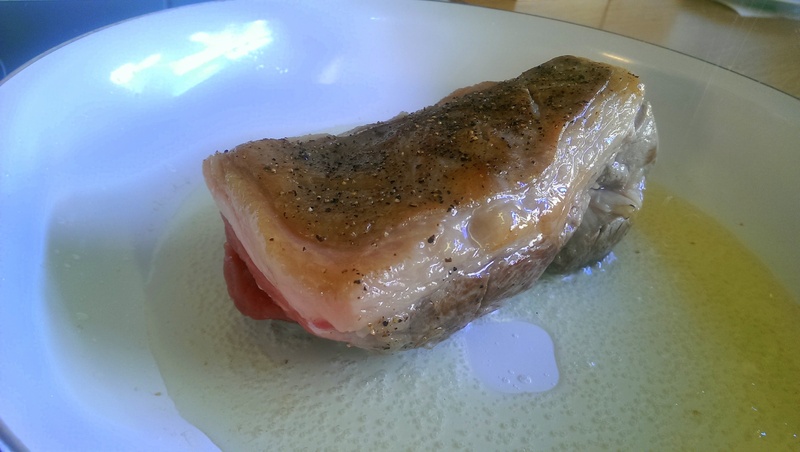 Pour over the pan sauce and adorn with the sage leaves. A sprinkle of pomegranate seeds doesn’t go amiss either! 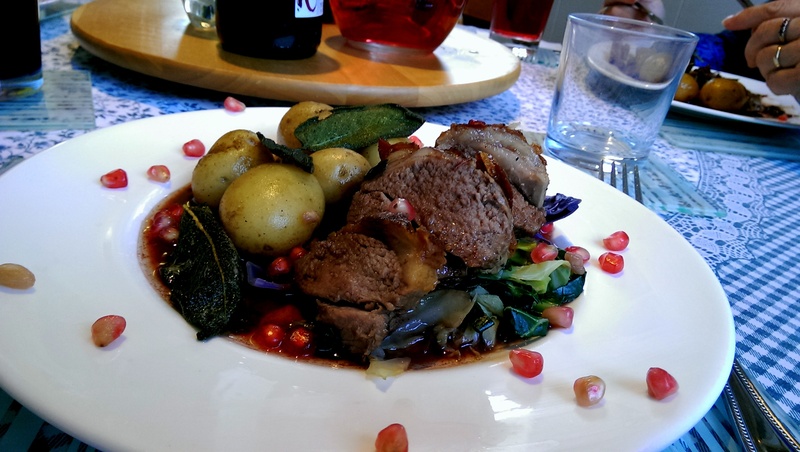 Posted in Guesscipes, Lamb, Mains, SaucesTagged cooking, gourmet, guesscipe, jus, lamb, pan sauce, pomegranate, recipe, roast, springBookmark the permalink.